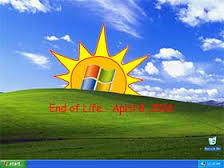 End of The Line For Windows XP Is Coming. What Are Your Options? Everyone mark your calendars, Windows famous operating system XP will cease to be supported by Microsoft on April 8th, 2014. What this means is that Microsoft will no longer release patches or provide any public support in anyway. Are you currently running XP? If so then an upgrade might be worth checking into. There are some strong arguments that upgrading now would be a good idea. Once Windows XP goes unsupported, then it will become a huge security risk that hackers will be able to crack, and Microsoft will do nothing about it. Using XP after it is unsupported will be incredibly risky and could potentially lead to your data being stolen or you computer becoming corrupted. Another problem will be that 3rd party software will stop being developed for XP. This leads to users not able to use new software since it won’t be properly designed for outdated technology. For instance, the antivirus you use might not be supported since the company that created it won’t feel obligated to continue to support XP. So you have a Windows XP machine and are looking to upgrade and stick with Windows. You have two options, going with Windows 7 or Windows 8. Windows 7 is a fantastic operating system, but is quickly losing market share with retailers who will mainly be carrying Windows 8. Windows 7 is still available, but not on every new computer. Windows 8 is a viable option, but has a steep learning curve to it, especially though who are upgrading from XP. Or you could choose to do nothing, which is an option, but not recommended, especially if you’re a business owner. Businesses who still use XP should be looking into upgrading Windows and training employees soon. Plus businesses will like that new versions of Windows was programmed with security as the focus, where XP it was more of an afterthought. Many residential homes have multiple computers running older technology. Replacing these machines either outright or with a Windows upgrade could become costly and time consuming. 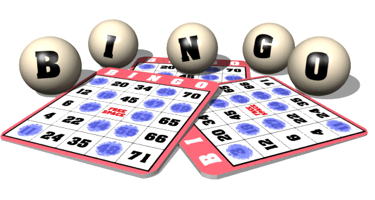 Their are estimated stating that around twenty-five percent of all Windows users will still be on XP. I recommend people start looking into upgrading soon, either to Windows 7 or Windows 8. of the two options Windows 7 would be an easier transition from XP since Windows 8 carries more of a steep learning curve. Plus they both have their advantages being more reliable, better security, and quite a bit faster. Also, Windows have outlined that they will support these operating systems for many years. Either you use XP or you know someone that does and knowing this information is important to stay protected with your technology. You still got some time but it’s important to start planning now before your XP machine. 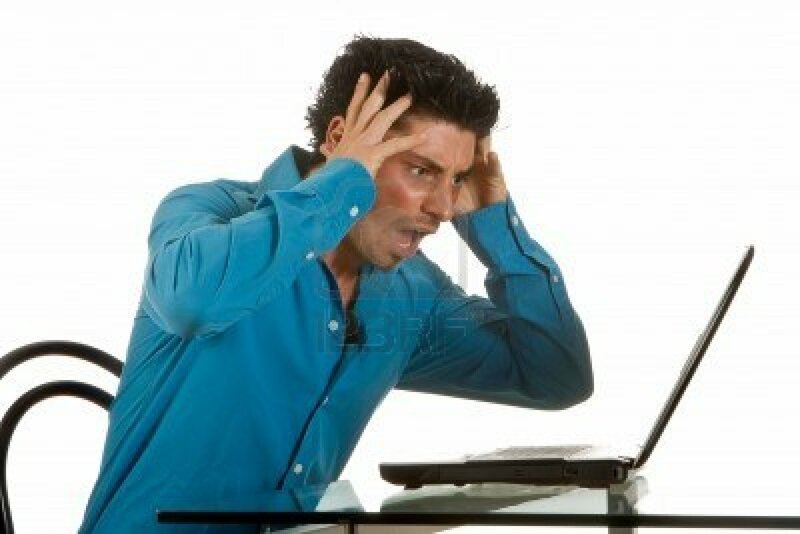 One of the things that I see on everyone’s computers that no one knows where they come from are Internet toolbars that tend to pile up in your web browser. I always ask if my client ever uses it, and they all answer that they aren’t sure where it came from. The answer is that you actually downloaded it yourself, and here’s why. On this page is an ad asking you to download the McAfee Scanner I installed it on clients machines and it asks for the Ask Toolbar. The problem is that it’s already checked. Many people will just hit the next button and not notice that they are installing an additional piece to the original software they were after. You then have an annoying toolbar taking up space in Internet Explorer. These serve no purpose, clutter up your internet window, and take up resources thus slowing your computer down. I’m basically saying to be careful when downloading anything from the internet, or even keeping legitimate software updated. 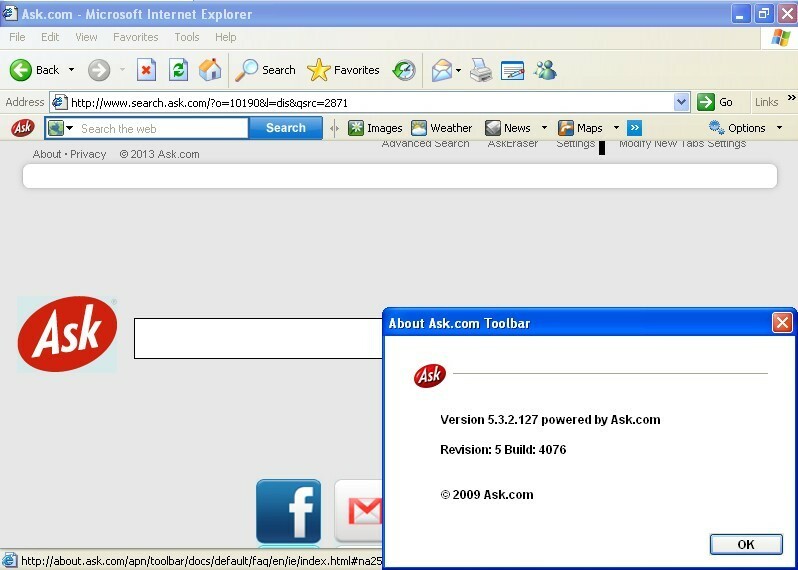 These companies make money recommending free antivirus and toolbars and the fact that they check it without your consent is dirty. Make sure you read every page instead of just blindly clicking next just to speed up the process, it could save you the headache of having to clean up your computer. Well it is almost holiday shopping season. During this period; many people opt to online for doing a good majority of their Christmas shopping. Virus hijackers like to take advantage of the extra online traffic by writing new virus code and infecting thousands of sites in order to get their malware out into the wild. We see it happen year after year. One of the most aggressive of these infections is ransom ware called the FBI virus. This virus is brutal once it gets into your system. Depending on how long it stays in your system, your computer can be locked down sometimes even in safe mode with no easy way to get into your operating system. The fake screen that pops up looks very real and can be intimidating for many people. Essentially the virus lets you believe that you are committing a violation and you need to pay $200.00. The money is usually requested to be made as a money pak from Walgreen’s or Wal Mart. As real as it may appear, it is a fake program. Do Not Pay the $200.00 as the screen will still remain on your computer and the virus will still be there. One of the worst aspects of the FBI virus is that it is almost never stopped by anti-virus software. It appears to be most common with video sites and X rated websites. In addition we have seen an increase in exe hijackers and the system restore virus that actually changes the configuration of your files so that you think they have been erased. These virus variants are a bit easier to remove but registry fixes often have to be implemented in order to get the machine back to a normal state. Most of these virus attacks will take several steps to completely remove. It can almost never be done just by a simple scan from your anti-virus program. Free VS Paid Anti Virus? Internet security is always a hot topic for computer users. There are many companies out there that provide different levels of protection and the question I receive quite often is “what is a good free AV (antivirus) that I can use?” While there are good sides to getting your AV for free, paying brings many more benefits that users should know about. Antivirus protection should never be taken lightly. I tell everyone of my customers that they should be using some sort of antivirus, no matter the user. You might be someone that has been on the internet for years and never gotten a virus (at least one that you don’t know about) but I would still strongly urge those who run nothing for protection. It’s the same as leaving your house unlocked when you leave; maybe you’ve never been robbed before, but it’s never a good thing to do. Let’s say you are a computer user and you are needing antivirus. You have the option of either downloading a free program to use or finding an antivirus with a premium. Here are some options to keep in mind when determining which route you want to take. 1) Free programs lack good technical support. I have to deal with technical support all the time, and the difference between good and bad technical support goes a long way. I would rather pay for good technical support than have to deal with someone who I can barely understand and doesn’t really care if my issues get resolved or not. Most free versions offer run of the mill features that only offer a handful of protection. Free versions might protect you against some malware, spyware, and other infectious files that users run into often. Paid versions offer all this plus offer additional benefits such as an additional firewall, advanced identity protection, spam mail filtering, parental controls, and so much more depending on which options you buy. 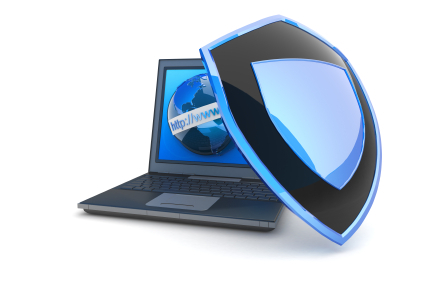 Probably the biggest difference with free vs. paid antivirus is paid antivirus offers real time protection. This means that it will give you a warning when something goes wrong. Some free antivirus programs offer this but most all paid AV list this as a benefit. Let’s take a free AV for example. Say you are browsing the internet and click on a bad link. A good paid AV would stop you right there alerting you that it could potentially be hazardous to your computer but the free one will allow you to click it. Most, not all, free programs will only work when you actively run scans. Using free means you should set reminders for yourself to scan since it doesn’t actively watch over your computer like a paid program will. Paid antivirus is often regarded as more stable since they have the budget to keep their program up to date and keep it upgraded. When picking an antivirus it all comes down to two questions. One – do I have the budget to pay for antivirus? two – how important is the data on my computer? Like stated above, I recommended everyone run some sort of protection, especially businesses. I’ve seen viruses render computers completely useless to the point the operating system has to be re installed. If you have any data at all on your computer, whether it be family pictures, important documents, bank information, or just anything else that is personal to you, then investing in a good antivirus should be a priority to you. What do I recommend? Vipre Anti Virus. It is powerful, effective and does not slow down your computer. We don’t really have a favorite when it comes to free. AVG and Avast are both popular free options but I’ve removed several spyware and viruses off computers that had up-to-date versions of these programs on them. You can always reach out to me at Perry Hall PC Repair to discuss options when it comes to protection on your computer. Mevvo protects your precious files by keeping a copy safely online. It’s hassle-free, easy-to-install, completely secure – and backs up your entire PC or Mac, no matter how many files you’ve got! Keep your files safe! Mevvo works quietly in the background to protect your files as you use your computer. You don’t need any technical knowledge, and it backs up all of your files – no matter how many you’ve got. You can restore your files at any time with one click. View your files anywhere. Once you’ve backed up your files with Mevvo you can view them from anywhere – from any web browser, or from your mobile and tablet. You can view your photos and documents, and even listen to your music and watch your movies, wherever you are. Complete peace of mind. With Mevvo you can be sure your files are safe and secure. We keep multiple copies of your files, so you can get to them at any time, and we encrypt them with military-grade encryption, so that they’re completely private. If you need help at any time our outstanding support comes free! We at Perry Hall PC Repair love the ease of us and the affordable pricing for secure online back up. In fact not only is it in use at our shop backing up our business files, We also use it on our home pc’s to back up the kids school work, and other important documents, Pictures and music files!